My kids are huge Great British Bake Off fans so my daughter chose a bake-off themed party for her 9th birthday. 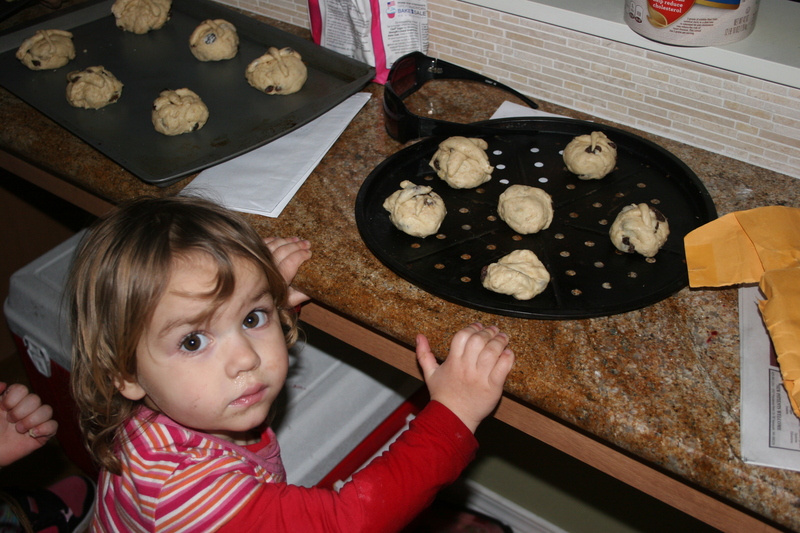 The idea of ten children all baking together at the same time was a little daunting but I needn’t have worried. I think this was probably one of the most successful parties I have organised. I decided on a basic Mary Berry cupcake recipe to be in keeping with the show. I bought mixing bowls from the thrift store/charity shop and a pack of wooden spoons so each child would have their own utensils. I pre-measured the ingredients for making 4 cupcakes and placed the dried ingredients in a ziplock bag. 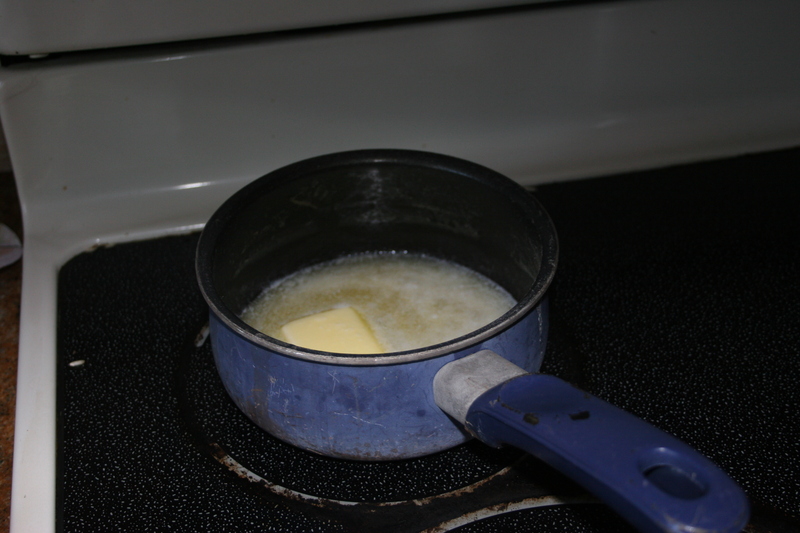 In the bowl, I placed the pre- measured butter and an egg. 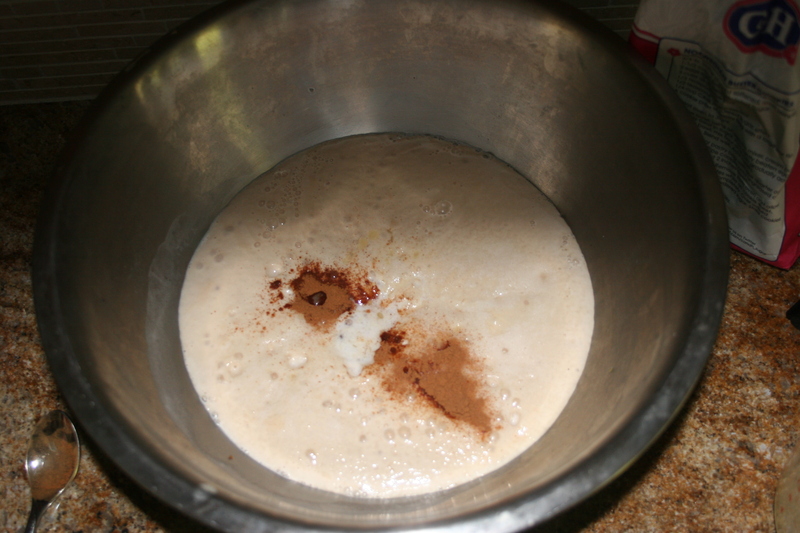 Mix all the ingredients in a bowl until smooth. Spoon into cases and bake for 25 mins at 350 F/ gas mark 4. The competition was to add additional ingredients to their cupcake recipe to make a unique cupcake and to decorate it with their individual designs. The children’s names were written on the bottom of the paper case before they went in the oven. While the cakes were baking, we played pass the parcel and had some British snacks like cheese and pineapple and chocolate digestives. For the decorating stage – they had ready-made frosting (soft icing) and a selection of items to decorate. Each child chose their favourite cupcake for the judging stage. The cupcakes were given a number but the judges didn’t know who the cupcakes belonged to. The judges awarded 3 prizes. Judging was very interesting ( and amusing). Some were very sweet or had overpowering flavours. I loved the comment from one of the girls, when they were sampling their finished cupcakes. The winners were awarded a prize and all the children took their cupcakes home along with a recipe card and a teapot cookie cutter. The above party was hosted for 10 children. There were 3 adult helpers, 2 cake testers and the party lasted for 3 hours. I am terrible at making play dough. For years I have experimented with all kinds of recipes, cold, cooked and microwaved but all of them turn out in a sticky mess within 24 hours. That is until a pre school teacher shared this simple formula with me. Mix 2 cups of corn starch/ corn flour with 1 cup of hair conditioner. Finally a recipe that works! Feel your skin, it’s really nice and smooth. The texture is slightly less firm and more crumbly than standard play dough but it has a lovely silky texture and led to some interesting creations. The first time I made a snowman, it was really good and then I noticed that it kept going down all the time. It’s like a melting snowman. 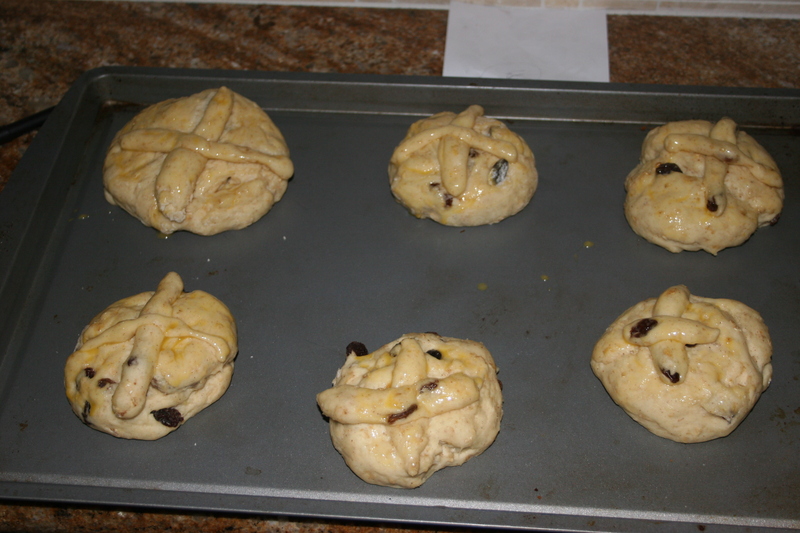 I love Hot Cross Buns. Years ago there was a bakery near my flat that baked the very best Hot Cross Buns, huge, glazed and sticky. I am yet to find anywhere here that sells them, so we decided to try making our own. It is quite a long process but definitely worth it and a nice introduction to bread making for the children. 4. 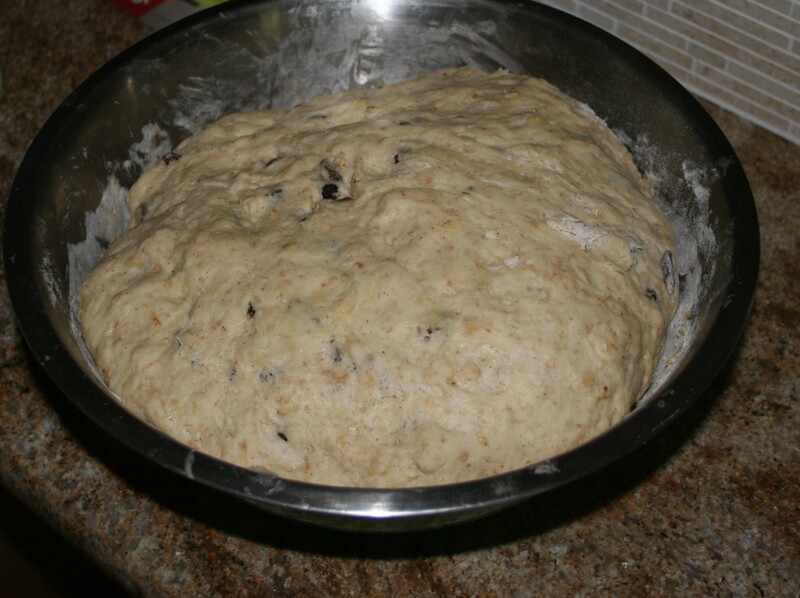 Stir in 1 cup of flour, oats, raisins, egg and dissolved yeast. 5. Keep adding flour until it makes a soft dough. 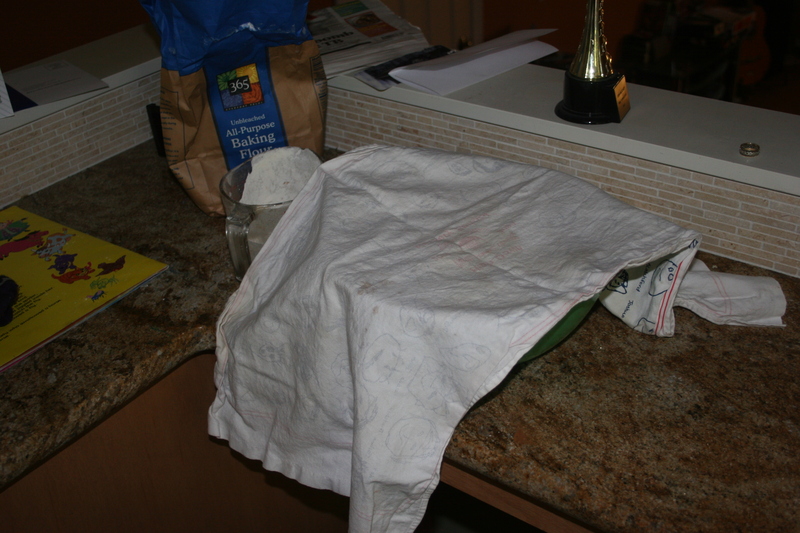 Knead, place in a greased bowl and cover for 1 hour. 6. Press it down then let it rest. 9. When cooled combine the ingredients for the glaze and brush on the top. Leave for 5 minutes. 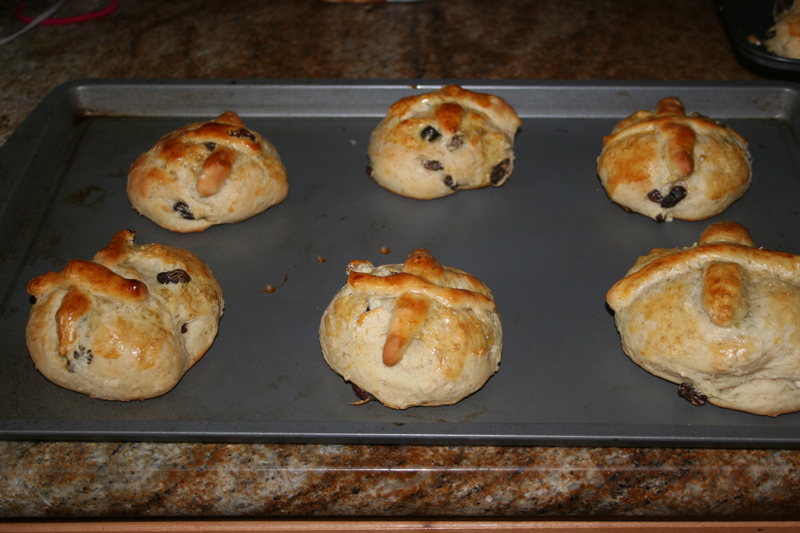 They were very popular; I may never get away with a shop bought bun again. This time last year we were playing in the local park. 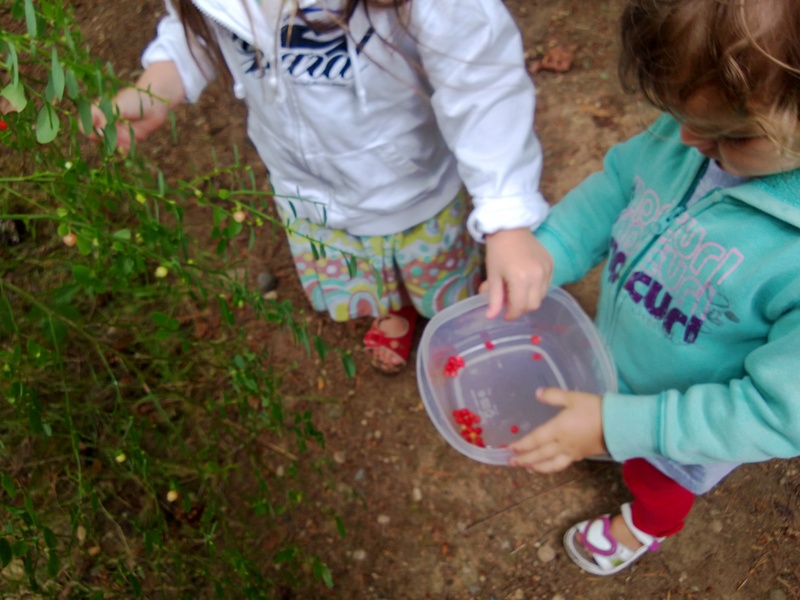 A group of children were picking small red berries from the bushes and eating them. I was a little alarmed, I’d always told the kids not to eat red berries because they were ‘bird berries’, that would make children sick. The children’s grandmother told us that they were huckleberries . I’d heard of Huckleberry Finn and Huckleberry Hound but had no idea a huckleberry was a fruit. ‘They are quite sharp’ she told us ‘but they are really good in muffins’. We tasted them, they are a little like a sharp blackberry, perhaps not to everyone’s taste but I liked them in small quantities. We headed back a few days later to collect huckleberries to make muffins. As you can see from the picture the berries are quite small so it takes quite a long time to pick any substantial quantity. The berries have a strong flavour however, so you don’t need many to make muffins. We followed this recipe and they were absolutely delicious. If you can’t get huckleberries then you can substitute blueberries, I would use a little less sugar if using blueberries. The muffins were such a success that as soon as we spotted the bushes beginning to ripen this year, we collected as many as we could. Huckleberries can be frozen but you need to be quite dedicated to collect large quantities. The bushes have small waxy leaves. We took them home to bake into muffins. A delicious seasonal treat. We mixed all the ingredients together.